Often the name viking conjures images of Brutes and Barbarians, but the truth is a little different. Vikings were warriors. More precisely ‘Viking’ is the name by which the Scandinavian sea-borne raiders of the early medieval period are now commonly known. Even before the earliest Viking raids on the monasteries, the Anglo-Saxons used an Old English word ‘wicing‘. But this was not a word that they used often or exclusively for the Scandinavian raiders; instead it was used for all-comers and meant ‘pirate’ or ‘piracy’. It was only in the late tenth or early eleventh century, in Anglo-Saxon poems such as The Battle of Maldon that wicing came to mean ‘a Scandinavian sea-raider’. 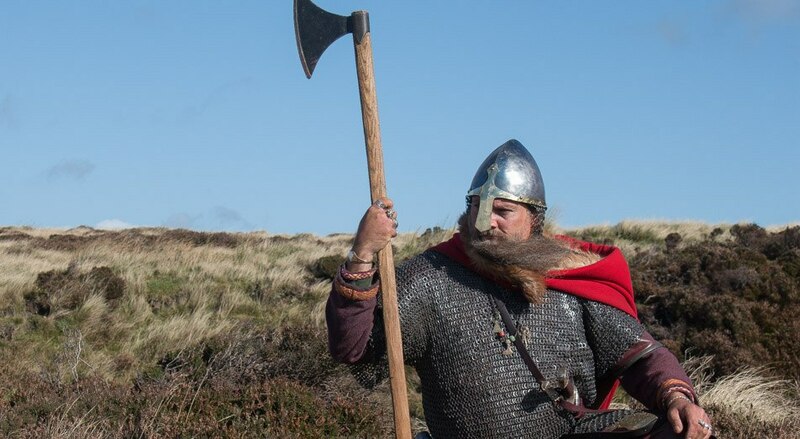 Vikings were not professional privateers or full-time soldiers – or, at least, not at first. Originally they were full-time fishermen and farmers who spent much of the year at home. Only in the summer would they have rallied to the call of a local leader and ventured across the sea to raid, trade or seek out new lands to settle. spoken in Scandinavia used the word ‘vikingr’ in its vocabulary, but its origins are uncertain. The explanation currently favoured is that it originally meant ‘a seaman who came from the Vik district of Oslo fjord’ and then came to mean sea-borne warrior, firstly from that area and later from all over Scandinavia.